With more and more entrepreneurs and seasoned businesses alike looking to the likes of Kickstarter and Indiegogo to fund their next project, there’s more competition than ever for your cash in backing these nascent ideas. In his class, Clay will share his extensive crowdfunding knowledge in a no-nonsense fashion and cover the top strategies, tips and tricks to ensure success for your crowdfunding project. TNW: Are crowdfunding platforms like Kickstarter and Indiegogo truly vital tools for startups/individuals looking to get a good idea off the ground or can you still do it ‘the old fashioned way’? CH: It depends on the type of business. There are two primary types of crowdfunding and they’re designed for two very different types of startups. Platforms like Kickstarter and Indiegogo are “rewards-based” crowdfunding platforms, where backers get a reward (usually the item being produced, like an album or a book) in exchange for backing the project financially. Rewards-based platforms are primarily for creative projects looking to raise enough money to complete the project, usually $50K or less. 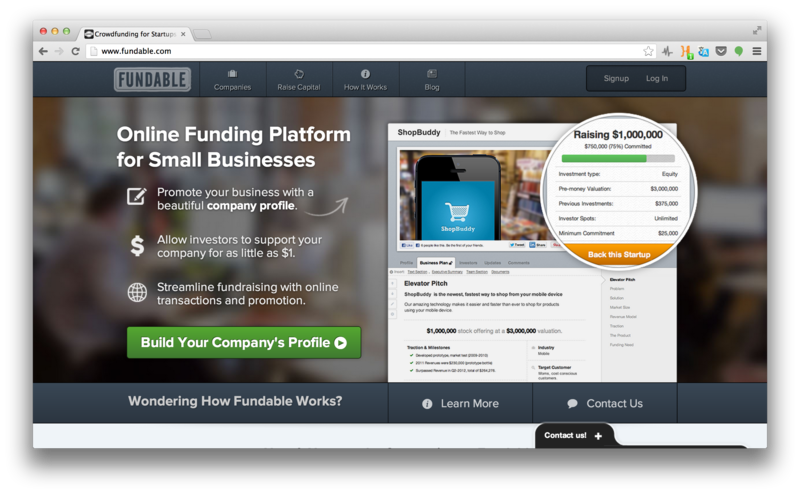 There are also platforms like Fundable.com, which offer “equity-based” crowdfunding*, where backers get a small share of equity in the company. Equity-based crowdfunding platforms are for startups looking to exchange equity for a larger chunk of operating capital, often $50K or more, from accredited investors. There are exceptions, and the $50K number is just a rough guideline, but it’s very different to raise $10,000 to finish your documentary versus raising $5 million to build an enterprise SaaS analytics application. TNW: Why are platforms like Kickstarter / Indiegogo finding such traction with such a large number of backers? Is part of that the psychology of people ‘wanting to be in it from the ground level’? CH: The early adopter thing is definitely part of it. When people discover and back interesting projects, they often share that project with their friends and social networks. There is an element of being the first to discover and share something interesting. But even more than a charitable donation platform, KS/IG work best as an exclusive online store, offering a pre-sale of items you can’t get anywhere else. The Pebble watch didn’t raise $10 million because backers thought the founder, Eric Migicovsky, was a nice guy (which he is). 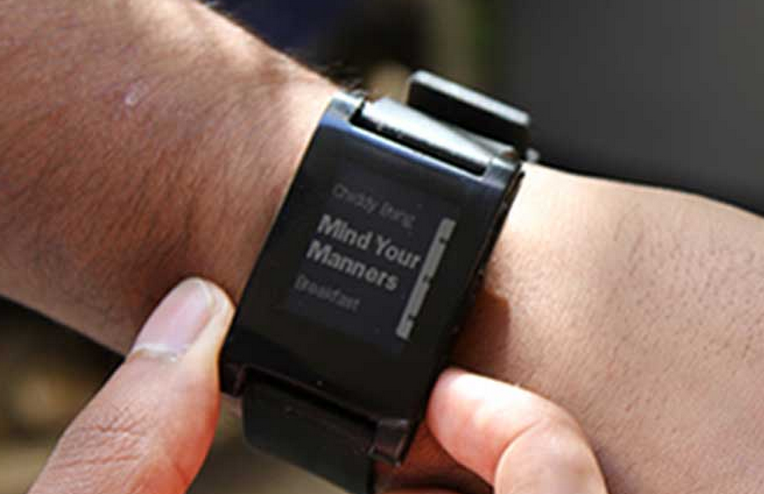 They raised $10 million because the backers wanted the Pebble watch. Pebble made an amazing, remarkable product and brilliantly told the story of that product in a way that spread. That’s the key to crowdfunding success. TNW: What are the biggest mistakes people make when setting up crowdfunding projects? CH: There are a few key mistakes I’ve seen project creators make over and over. The biggest is thinking that the marketing will take care of itself. The press loves to cover the huge multi-million dollar projects, so Joe or Jane Doe assumes they can easily throw up a project and the platform alone will raise them $30K or $50K. The truth is, you need to drive the bulk of the traffic to your campaign page yourself. Kickstarter and Indiegogo do a good job of promoting interesting projects but even then, the majority of the views and dollars (usually 80-90 percent) come from other channels and promotional efforts outside of the platforms. As with any good online marketing, you need to determine the specific tribes and niche subtribes who desperately care about your project. If your initial answer is an enthusiastic “everyone!”, go back to the drawing board. You can’t reach everyone. You want a unique product for a specific audience. Ideally, you’ve built your tribe well ahead of time via an email list, a blog and social networks. If you haven’t built your tribe, determine who has. Who has permission to talk to the people who will care? If it’s not you, you need to figure out who does and craft an interesting offer for them. This all needs to happen well in advance. You need to build a marketing plan before you launch. Once you launch, it’s too late. The clock is ticking. The second biggest mistake I see is how people price their reward levels. When you buy something in-person or on a site like Zappos, there is almost zero customer risk. Zappos invests in free-shipping both ways and amazing customer service. Because there is no risk, Zappos can charge at or close to manufacturer’s suggested retail price (MSRP). You are not Zappos. Lots of crowdfunding projects never get produced and many that do ship much later than the target date. There is inherent customer risk in contributing to crowdfunding campaigns, yet we do it anyway. To compensate backers for this increased risk, project creators should try to target their pricing below MSRP, not above. Instead of a $10 ‘digital high five’ (infinitely above MSRP), offer more value. For example, at the lowest reward tier of his Kickstarter project, AJ Leon offered his book, with extra essays, in every digital format (PDF, epub, mobi and audiobook) for only $13. That’s way below MSRP. TNW: What 5 tips would you always recommend when setting up a campaign? Have a unique and interesting product. Build your tribe well ahead of time (months, if not years). If you didn’t, identify the specific tribes and subtribes that care and figure out who has permission to talk to them. Price your levels below MSRP. Add as much value in each level as possible. TNW: Is crowdfunding appropriate for everyone? What shouldn’t you use it for? CH: Crowdfunding is definitely not for everyone. Kickstarter has a very specific list of categories and guidelines that projects must meet. If your project doesn’t fall into those categories and meet those guidelines, Kickstarter isn’t the right choice. Indiegogo is more flexible and there are other more niche crowdfunding platforms and self-serve plugins but not all projects are appropriate for crowdfunding. Products that are not unique, interesting or new, likely won’t generate the interest necessary for a successful crowdfunding campaign. If you haven’t built a tribe or know specifically what groups will care, your project won’t get the necessary traction to be successful. Crowdfunding is best for specific projects with a beginning and an end and a defined outcome, whether that is completing a documentary or saving a restaurant. TNW: Are there reasons to walk the crowdfunding route beyond just raising money? CH: Absolutely. Crowdfunding can have tremendous benefits above and beyond fundraising. There are quite a few entrepreneurs, like David Ellner of Panna and Eric Migicovsky of Pebble, who have used platforms like Kickstarter to validate market demand and have used that validation to go on and raise venture capital. Sometimes, the same VC’s who initially turned them down are now writing checks, on terms more favorable for the entrepreneur. A successful crowdfunding can also be used to build awareness and buzz about a product and identify (and gain permission to market to) early adopters. TNW: Canonical has a very high-profile ($32m in 30 days) Indiegogo project running that looks like it might come up short, is there anything we can learn from that and would you have recommended a different approach? CH: It’s too bad, because Canonical should be celebrating a huge fundraising success. They did so many things right and I’m rooting for them but they made two critical mistakes. They set their fundraising goal WAY too high. Most companies would be thrilled to raise $500,000 or $1 million via crowdfunding. 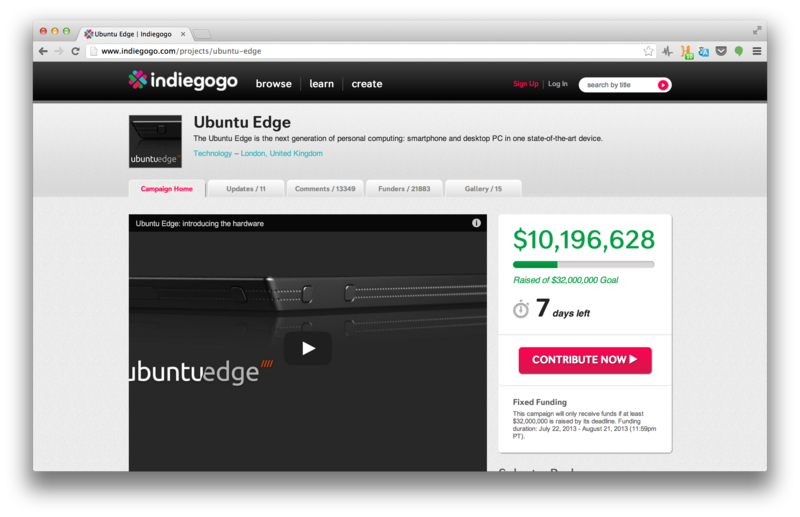 Canonical raised $2 million in only eight hours, which is almost unheard of. Unfortunately, they set their goal at $32 million, an astronomical target for any crowdfunding project. But their second mistake was arguably worse, they chose Fixed Funding instead of Flexible Funding. Unlike Kickstarter, which is always an all-or-nothing funding model, Indiegogo offers two options, Fixed Funding and Flexible Funding. 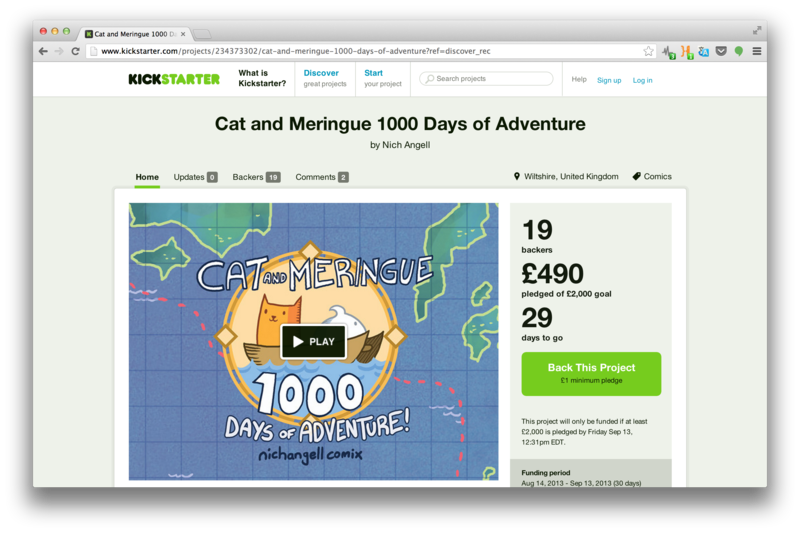 The Fixed Funding model is all or nothing, just like Kickstarter. If you don’t hit your goal, you get nothing. Canonical had a truly innovative product idea. They told their story well and successfully tapped into the very strong Ubuntu community. $10 million is a massive raise on any crowdfunding platform. If they would have chosen Flexible Funding, they would still be able to keep most of the money raised and bring the Ubuntu Edge to market. By choosing Fixed Funding (barring a $20 million raise in the final week – possible but unlikely), the project won’t be funded and the 20,000+ backers will get their money back. By starting with a smaller goal or by choosing the Flexible Funding option, Canonical and the Ubuntu Edge could have been a massive success. Clay’s class, ‘How To Succeed On Kickstarter‘ features on TNW Academy on August 22 and is priced at $49. Sign up while you still can.